Hope you had a wonderful weekend everyone! I put together a little lookbook of the projects I’ve made using Rain Walk. It’s mostly just a fun look back for me, and a fun way to remember my first fabric collection. I showed it to my husband and he said he was so proud of me. Felt pretty good. Anyway, if you have a minute to flip through it I’d love to know what you think. Maybe you’ll find some projects you missed over the summer. It looks really amazing! A very nice overview over all the great projects you made with rainwalk! That was wonderful! I loved the look book. The fabric is beautiful and so are the projects. Thank you for sharing! What a lovely way to bring all your pieces together. Workmanship and design stunning, and beautifully photographed too. Beautiful collection and a lovely look book. Makes me want to make everything. You are extremely accomplished! I really love your collection, the designs are fabulous, thanks for your work! Impressive projects! I need the patterns! I want bolts of the entire collection!!! Just love the designs and colors!! 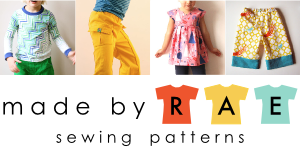 The LookBook is a fabulous way to show off your talents as a pattern and fabric designer!!! I love Rainwalk and all the projects in your book! I have been in love with all the rain walk fabrics from the very first minute but am still failing in purchasing some. Maybe it’s because I live in Germany and they aren’t available here? Maybe you can give me a hint on where to look? I would be thrilled to make one of your bags with it! Very nice look book layout and pacing. Your projects make the fabric line shine. Anna, the fabric collection is beautiful! Thanks for putting it all in a look book so we can be inspired! You did a great job on the look book. Such a fun idea and so well executed. I’d be hard pressed to pick a favorite!